A building on or near this site was original the seat of the Urswick family until around 1250, and then, with the building of the hall and possibly a fortified tower of some sort in the early 15th century, it became the seat of the Fleming family. 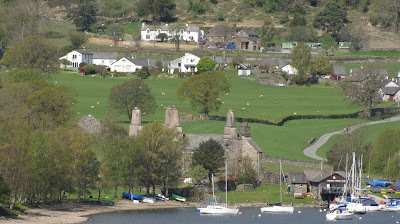 The hall sits at the Northern tip and on the West banks of Coniston Water, and is visible from Brantwood across the water on the East bank. The hall consists of a West wing which contains a living room, sitting room and a central kitchen. The central block consists of the original kitchen area, a dairy under the hall, and an old byre\barn area. The East wing contains a newel stair in the outside wall, which may suggest that there could have been a tower here. It is this wing, hidden behind the trees to the left of the photo, that could have been the location of the tower.....the walls here are thick, but the basic layout of this wing is broken, and has been altered over the years, with a partial restore taking place in around 1815. 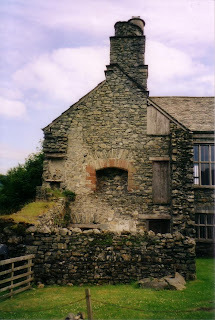 Several documents mention the remains of buildings to the South West and West of the hall....but it is thought that, rather than being the remains of out buildings, or even the original Urswick family tower, they are probably the earthwork remains of fish ponds. 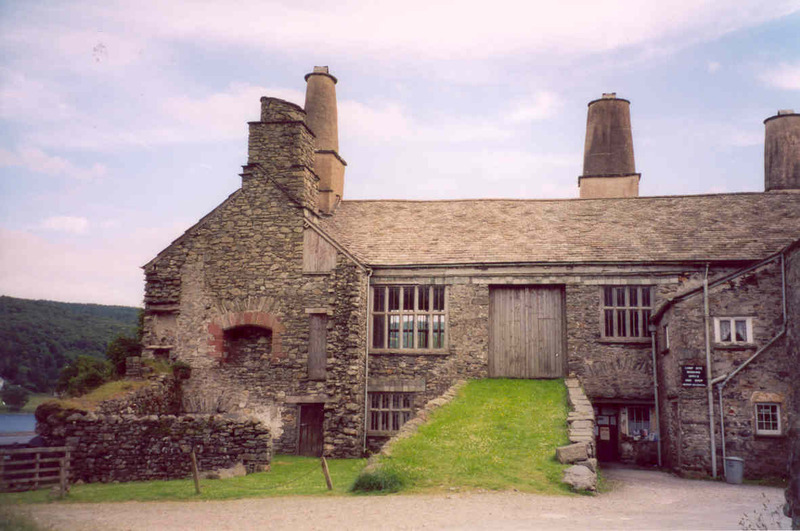 The Fleming family eventually left Coniston Hall for larger, more modern accommodation at Rydal....but the hall was maintained by the family as a hunting lodge up until the early 1700's. I'm not sure what the access rights to the hall and the grounds are, so when I find this out, I'll update this post. Check Tony's Lakeland Cam website for daily photo updates. If you're stuck behind a desk on a bright sunny day, this is the place to cheer yourself up with. Thank you for letting me use your photo Tony! There is some really good information at this link regarding Coniston, the Hall, the Flemings and the surrounding areas. Check this link out for a detailed plan of the hall.